Just like in 2018, all participants (men and women) will be presented in 't Kuipke during the team presentation. Afterwards, both races will take off at the same location. The start of the elite women's race is scheduled 10 minutes after the elite men's race. Christina Siggaard won last year's Omloop Het Nieuwsblad, which finished in Meerbeke. In 2019, the women's race will be tougher, with 10 hills and 5 cobbled sections. That's 2 hills and 2 cobbled sections more than in 2018. 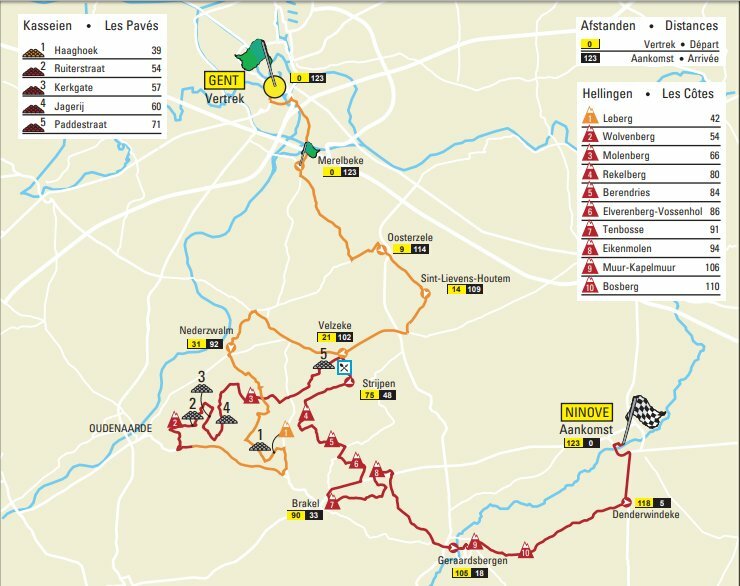 The women will also finish in Meerbeke. Curious to see Trek race for the first time. Let’s go Coryn Rivera and Sunweb tho!